This may be the simplest of all scalping strategies available for a five-minute chart. A visual strategy that requires only one indicator, a rainbow of moving averages. 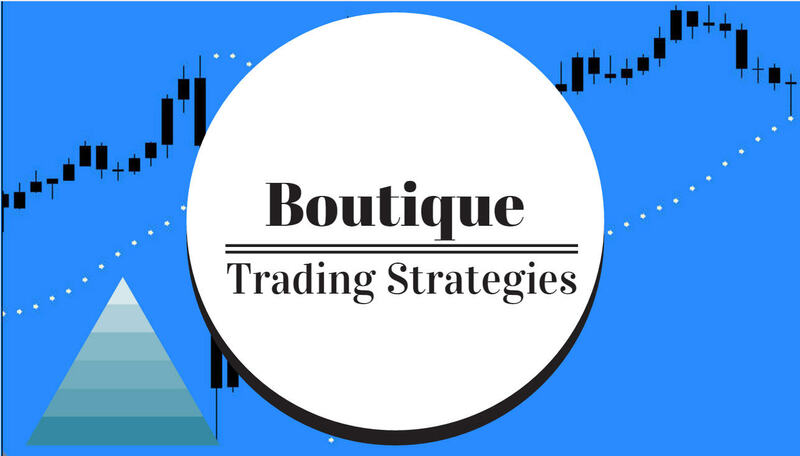 The entries are relatively simple with this trading strategy. Usually one would enter on a retrace, price entering the moving average rainbow and then bouncing back, the entries to be ‘with trend’. As an alternative setup to using the moving averages only is to add a stochastic oscillator, however, as you can see in this chart, using a stochastic to confirm signals is a waste of time. While a trader may start off with only one chart to learn how to trade this strategy, they may well want additional charts because of the delays in entries. The system moves slowly enough that someone could probably monitor 10 charts or even more. A bit of experience and a few hours of screen time will allow the trader to add charts to his screen and have a more profitable day. It is most essential that a trader uses a Stop Loss with this technique, especially because the markets have been known to reverse quickly. I would suggest a Stop Loss of no more than 10 pips, especially for someone new to trading. The take profit should be set at approximately ten or fifteen pips, except on GBP pairs which sometimes have excellent volatility. The trader is going to have to determine what risk he is prepared to take for entries with this system. A good exercise is to ‘paper trade’ perhaps 50 or more entries, recording details as Stop Loss used, Take Profit used – these being on each currency pair as they all have their own patterns. After such a test, then the trader can adjust stop loss and take profit according to experience.